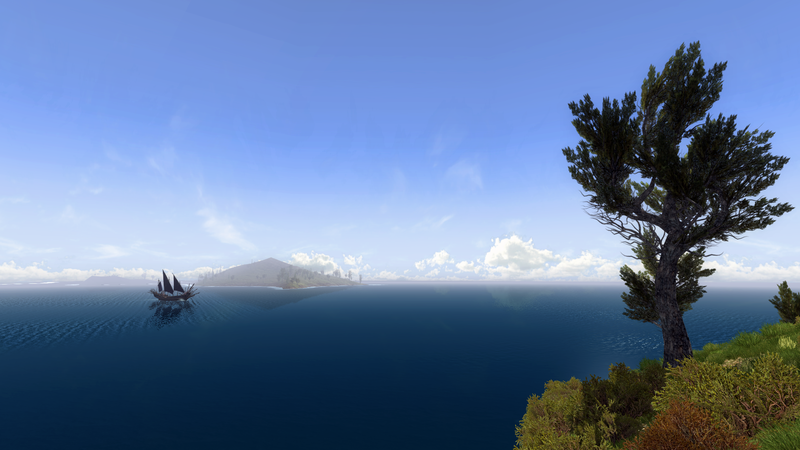 The view from the island of Tol Fennas, located in Western Gondor off the coast of Dol Amroth, is simply breathtaking. From all sides of the island, you’ll find a lovely vista with gorgeous blue sea water, ships and puffy white clouds, as well as a rich variety of local flora and fauna. It’s hard not to stop and gaze across the ocean ~ dreaming of sailing into the beyond. I’m so blown away by all of the fabulous views in Western Gondor…. I could probably share a new one everyday from the same island and it would be different – I want to see yours! 1. August 2012 Ich muss dich verbessern, du hattest eine Blaue Jeans an die durch die BlMxeoe-ubthode unsichtbar wurde. Hatten wir gar nicht dran gedacht, war nicht beabsichtigt, aber letzten Endes ist es ja doch ganz fein, sieht halt wie ein cooles Alien ohne Beine aus. Wow. Just.. wow! That is stunning and now I’m going to go search for it!